Commercial AC Repair| Friendswood Texas-Air Systems Texas-Call Now! Commercial AC Repair and Heating repair requires a qualified service technician. Hiring the right company is important for every job and Air Systems Texas is pleased to offer both quality certified air specialists, and our company promises to give you the very best service and parts in our industry. 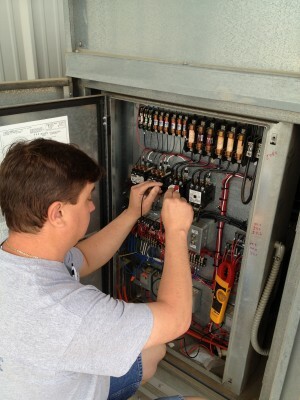 We stand behind every Commercial AC Repair job. We help plan, design and install air conditioning and heating systems for the most comfortable climate controlled commercial real estate buildings in the area. When you call Air Systems Texas your customer service begins with a qualifed service technician on the other end. We can help you determine your specific needs and schedule your service call. We carry an ample supply of common parts so the repair time is minimized. We value your business and hope that you will call on us every one of your Commercial AC Repair needs. Your construction project has deadlines to be met. We understand this and are committed to providing you with Commercial AC Repair in a timely manner so that you can meet your inspection deadlines without fail. If you need assistance planning, or installing new air conditioning systems for commercial application we can help. We realize it is imperative that your business air conditioning and heating equipment is up and running as soon as possible. As business owners, we understand the need to maintain cost effectiveness and promise to approach your situation as if it were our business.